The word hermetics refers to a secret revelation doctrine written before 300 BC. The name is derived from the legendary figure of Hermes Trismegistus, a syncretistic fusion of the greece god Hermes and the Egyptian god Thot, who also wrote the so-called hermetic writings and was seen as the father of Alchemy. Hermeticism has nowadays become synonymous with spiritual alchemy and occult-esoteric teachings, even to parts of mysticism. 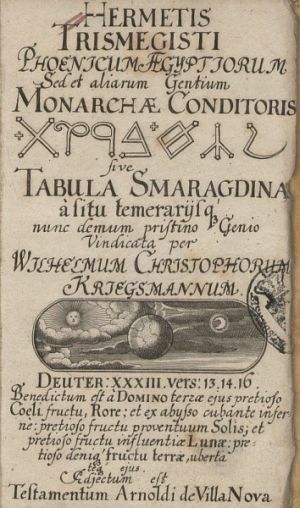 It influenced the natural sciences of the world until the 17th century and also shaped occidental occultism. The Hermetic definitions, which are handed down in an Armenian translation of the 6th century. Small fragments of hermetic writings are also found in papyrus funds.